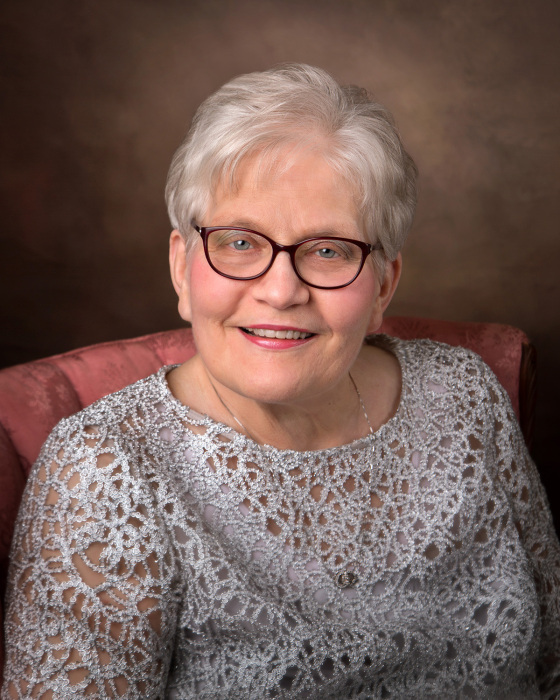 Benson, NC: Mrs. Winifred Thornton Wood, age 70, of 2500 Beasley Road died Tuesday, April 9, 2019, at the SECU Hospice House in Smithfield. Funeral Service will be held 11:00 AM , Friday, April 12, 2019, at Trinity Baptist Church in Meadow. Officiating will be Revs. Thomas Collings and Freddy Wayne Langston. Burial will follow in Young Cemetery in Benson, NC. Mrs. Wood was born on June 13, 1948 in Harnett County to the late Perry and Mary Lou Johnson Thornton. She along with her husband, Roland owned and operated J. Roland Wood Farms for 40 years. Together they were a vital part of the sweet potato industry. Mrs. Wood was a member of Trinity Baptist Church. Surviving are her husband of 52 years, J. Roland Wood; son and daughter-in-law, Michael Perry and Dae Barefoot Wood of Benson; daughter and son-in-law, Suzanne Wood and Jeremy Rhodes of Four Oaks; grandchildren, Taylor Marie Rhodes, Mary Michael Wood and Caleb Wayne Rhodes; brother, Charles B.Thornton of Meadow; several nieces and nephews. The family will receive friends Thursday, April 11, 2019, 6:00PM - 8:00PM at Rose & Graham Funeral Home in Benson and other times at the home. Flowers are welcomed; however, memorials may be made to Trinity Baptist Church, c/o Jean Lee, 8515 Meadowbrook Rd, Benson, NC 27504. The Wood Family would like to thank Rhonda Roberts and Susan Ward for their loving care of Mrs. Winifred.